" Stellar Information Technology Pvt. Ltd. honored as 2019 CIO Choice for offering best data recovery solutions." " Stellar Information Technology Pvt. 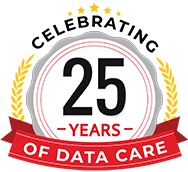 Ltd. honored as 2017 CIO Choice for offering best data recovery solutions." " Stellar Information Technology Pvt. Ltd. honored as 2015 CIO Choice for offering best data recovery solutions." " Stellar Information Systems honored as 2013 CIO Choice for offering best data recovery solutions." 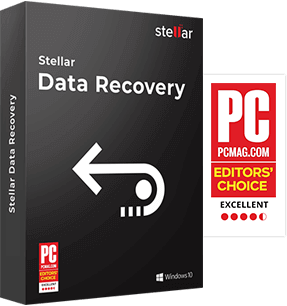 " Stellar Phoenix Windows Data Recovery makes the stressful task of recovering lost files as simple as possible. It is fast, provides a helpful file preview tool and the improved interface is simple to navigate regardless of your experience level. " " Stellar Phoenix Photo Recovery’s user interface, advanced features and excellent online and in-program help will help you recover your lost photos. " " When it comes to data recovery, Stellar Phoenix is on top of its game. It can recover over 200 file types and from all kinds of connected devices and disks. " " Easy, fast (relatively speaking) and a life saver in those situations where your drive failed or glitched and those critical files just have to be recovered. " " Powerful data-recovery software with a full range of advanced features. The best built-in file previewer of any product in this category. " " Digital photographs being data stored on any device's storage memory is prone to accidental deletion or data corruption. While there are several data recover tools, the ones that work well are usually quite expensive. If you are looking for something specifically to recover photos, utilities such as Stellar Phoenix Photo Recovery can come to your rescue "
"Thankfully, there are ways to recover lost photo from your hard drive or memory card. And it’s very easy to recovery photo with the right software. Today, I am going to review a photo recovery software - Stellar Phoenix Photo recovery. " "The Mac Data Recovery is very straight-forward and easy to use, with a simple selection of either Recover Data, Create Image or Resume Recovery at startup, then the opportunity to chose which type of recovery, then the volume to salvage files from. " " Stellar Phoenix Mac Data Recovery Software is designed to recover deleted files with original file names, recovers lost data, photo, audio and video files lost due to logical crashes. The software recovers and restores lost data from corrupt, damaged, deleted volumes of Mac OS X hard drive. "